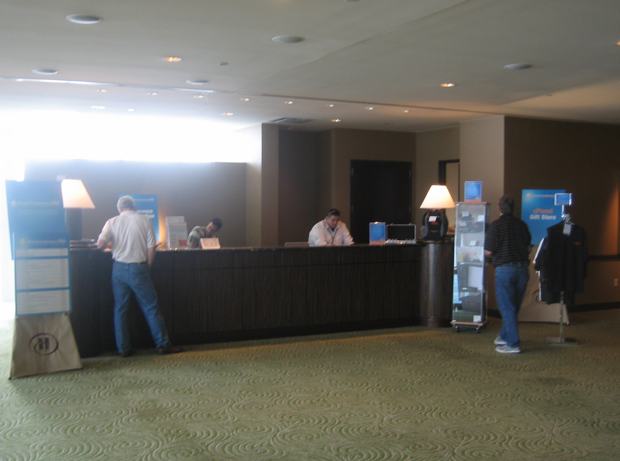 It is October 5th, the day before the official cPanel 2009 conference to start and most of the attendees haven’t arrived yet. I’ve got to Houston on Sunday (October 4th) after a 10-hour flight from London. So I was here the day before and today made some shots at the registration area. 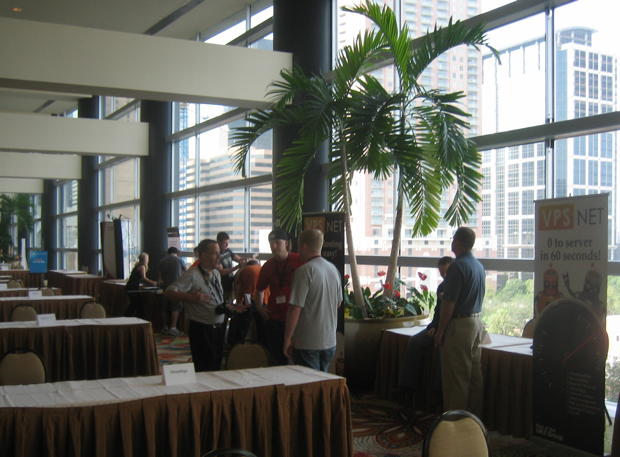 The first impression you get from the cPanel con is from the Hilton Americas hotel where the conference holds. 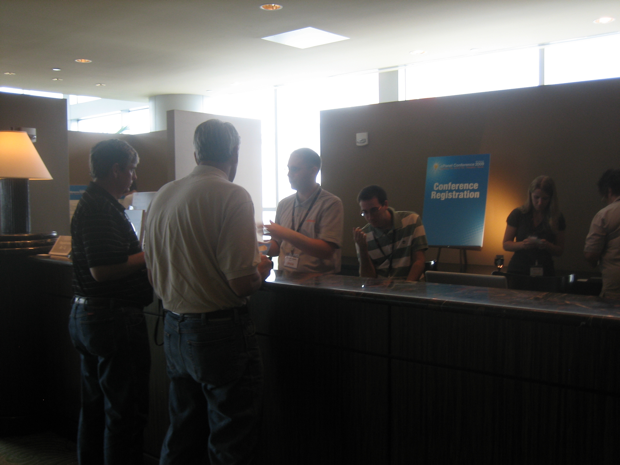 It is a very good facility, not that big as the Gaylord National Resort where the HostingCon 2009 held, but at the same time very comfortable. There is plenty of space, and you don’t need to walk half a mile from the hotel area to the business and convention center. It is not like in Mandalay Bay in Las Vegas where anyone needs half an hour to get from the conference area to the hotel room… if they have a chance to get there at all… the road to the room passes the casino. 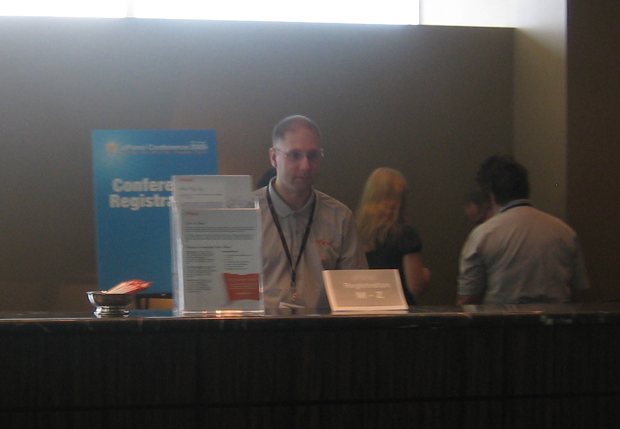 cPanel staff welcomes the registrants. 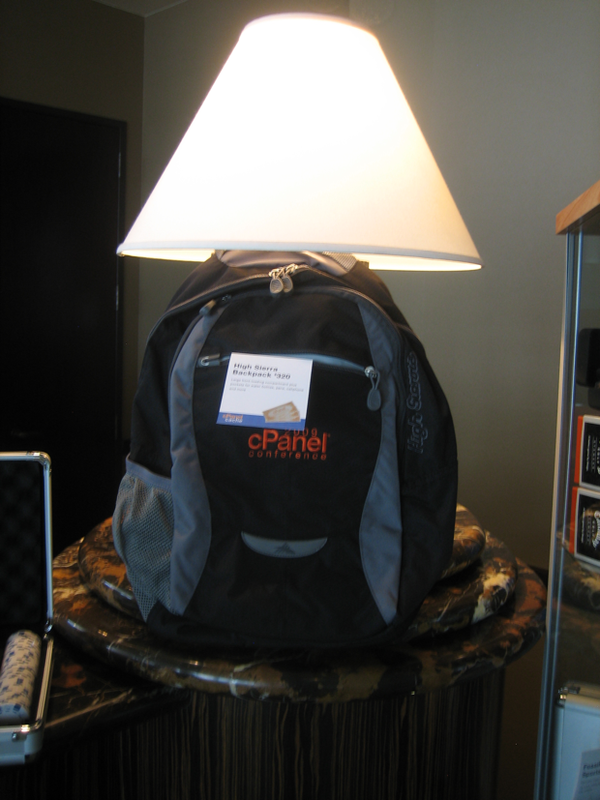 The cPanel 2009 Conference bag. The gift store. 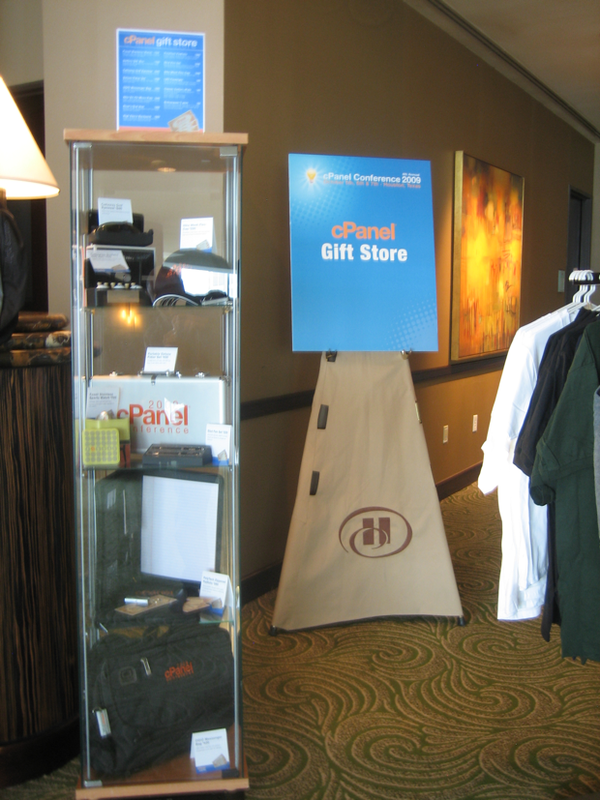 cPanel has a interesting method to stimulate the participant to conference to attend the sessions. They introduced a their own “money”. Everyone who registers for the con gets 40 of them. 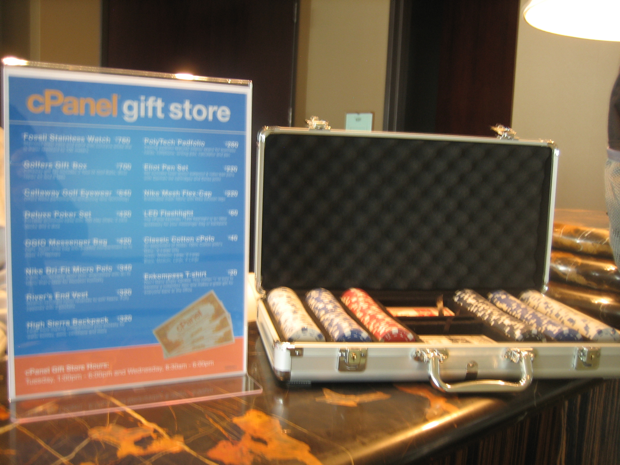 Registrants earn more money when attending to sessions and at the end they can purchase goods from the store. Aaron Philips (left) talks to exhibitors in front of VPS.net booth. Nice view from the 8th floor of the Hilton Americas hotel in Houston. You can see part of the city center. 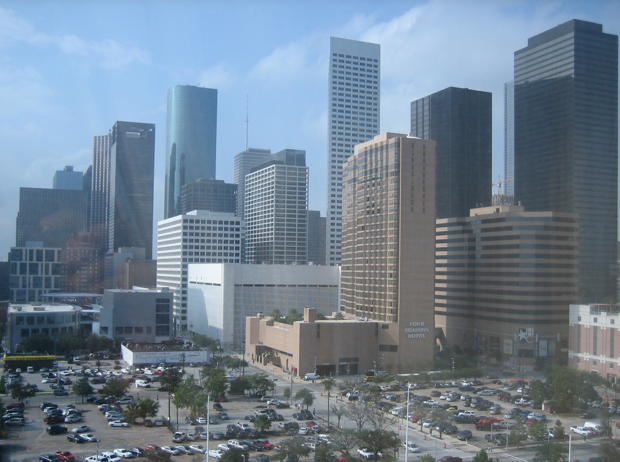 The “Houston Toyota Center” (not on the picture), where Rockets play their games is just next to the hotel.